According to Automotive Fleet Magazine, 21 per cent of all fleet vehicles are involved in some type of accident per year. 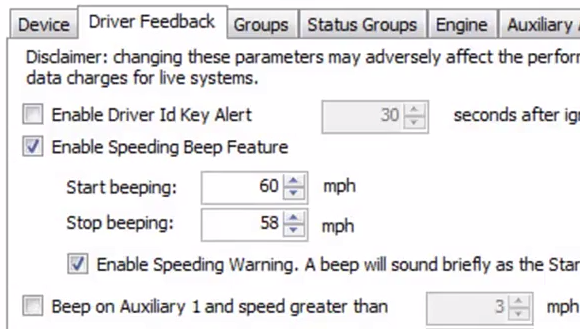 As a fleet manager, that has to be unsettling. 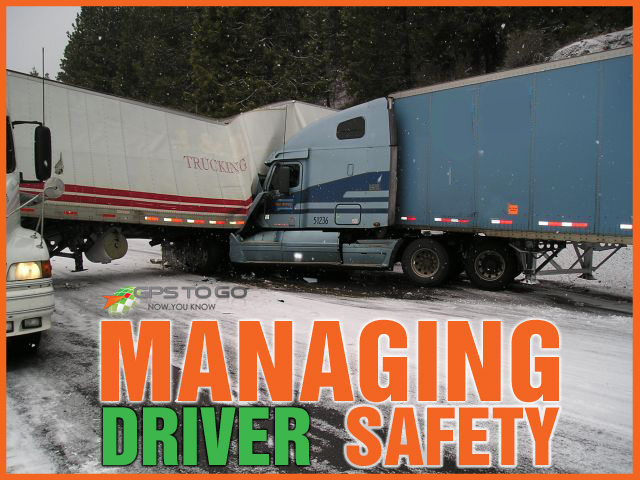 The safety of your fleet’s drivers is a byproduct of responsible driving habits. The responsible course of action is to correct the risky behaviors of your drivers to minimize the risk to your fleet — both for the safety of your drivers, and your company’s bottom line. Installing Geotab devices offers an all-in-one solution to do just that. Here are some ways that using Geotab GPS Tracking Devices can help manage your fleet’s driver safety. Speeding is a natural temptation for many drivers, let alone fleet drivers that feel the pressure to stay on schedule. But not only is it dangerous and illegal in any circumstances, it can give your company a bad name on the road. 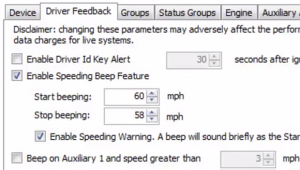 The Geotab system has a number of checks in place that are in place to attempt to reduce or eliminate the incidences of speeding in your fleet. Harsh braking is a major indicator of overly-aggressive driving: drivers get themselves into situations by following too closely or accelerating faster than necessary and have to slam on the brakes. Not only is it an unsafe driving tactic, it causes more wear-and-tear on your vehicle fleet (particularly the tires). We all know that this is an increasingly troublesome problem for all drivers. Geotab’s in-vehicle systems are designed to provide your drivers with all the information that they need while minimizing distraction, ensuring that they remain focused on the road ahead. The MyGeotab dashboard comes pre-loaded with several risk and safety reports that rate your drivers on incidences of aggressive driving maneuvers. This allows you to address concerns with drivers and ensure that they know not to continue with these sorts of behaviors going forward. Your Geotab devices can be tailored to inform the driver when they’re speeding, not wearing their seatbelt, and a variety of other behaviours via in-vehicle reminders. Geotab automatically detects accidents and notifies the fleet manager instantly. Not only do you get the benefit of knowing right away that there’s been a collision, the fleet manager is able to view exactly what happened – second-by-second – in the time leading up to the accident. This can be extremely beneficial from both a teaching perspective, and for proving that your vehicle was not at fault, if that was the case. Take control of your fleet’s safety today. Try GPS tracking for your fleet with our $50 trial offer. It’s simple: we send you the devices, you test it with no obligation, and we credit you the $50 when you’re ready to buy. There’s no contract and you can cancel anytime. Get rolling today!